I was looking through some pictures tonight and I stumbled upon a sewing project from last year that made me smile. I want to share it with you in a feature I will call "Project Flashback". 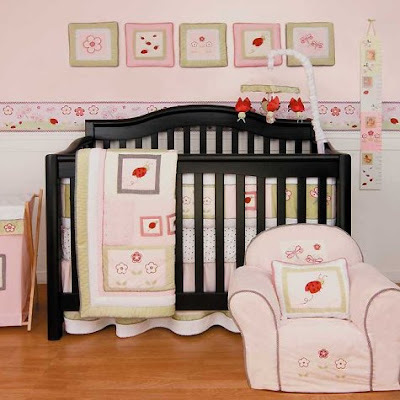 Our bedding was made with Minky Cuddle plush fabrics (pink with embossed stars and green chenille stripe) and assorted cottons and flannels. (We purchased a coordinating fitted sheet for the mattress.) 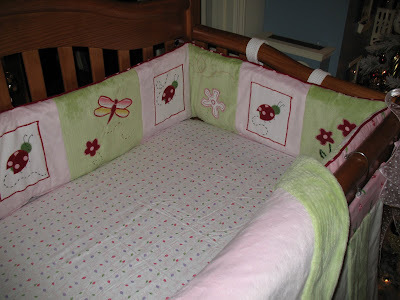 The ladybugs were made of polka dot flannel and applied using a satin stitch on the machine. 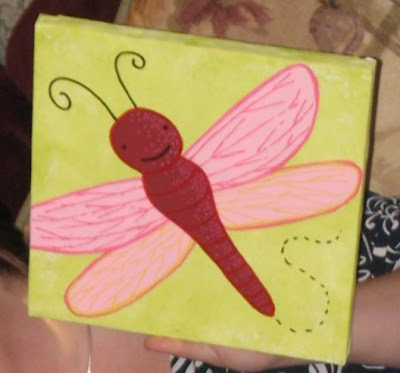 The flowers and dragonflies were cut from various cottons, and the trails of the bugs and flower stems were hand embroidered using embroidery floss. 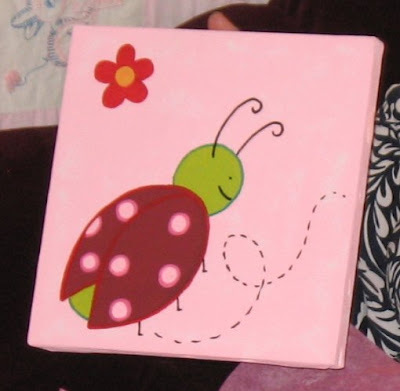 We even found pink ladybug and dragonfly print upholstery fabric! 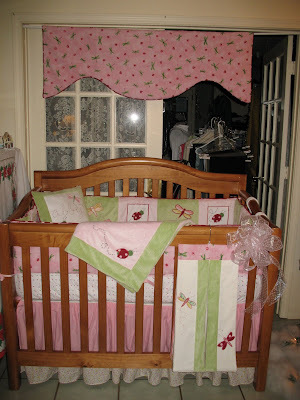 That was used for the back of the bumper and the curtain valance. 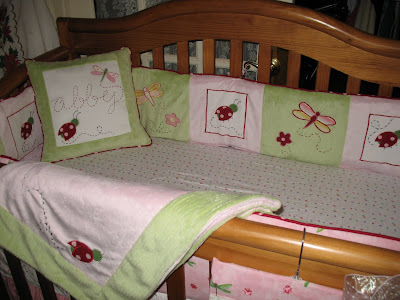 My favorite part is the pillow with Abby's name. 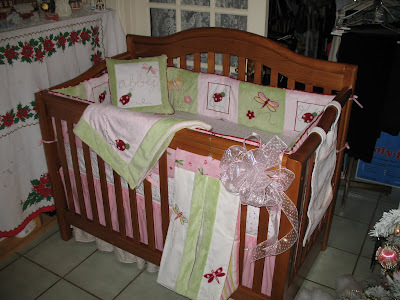 It's so whimsical and the style is cute enough to last through her childhood. To top it all off, I painted two canvas prints to hang in the nursery. I must thank the people who invented paint pens for all their help in creating those perfectly thin lines!